Magic has an umbilical hernia that can easily be fixed when the puppy is neutered. 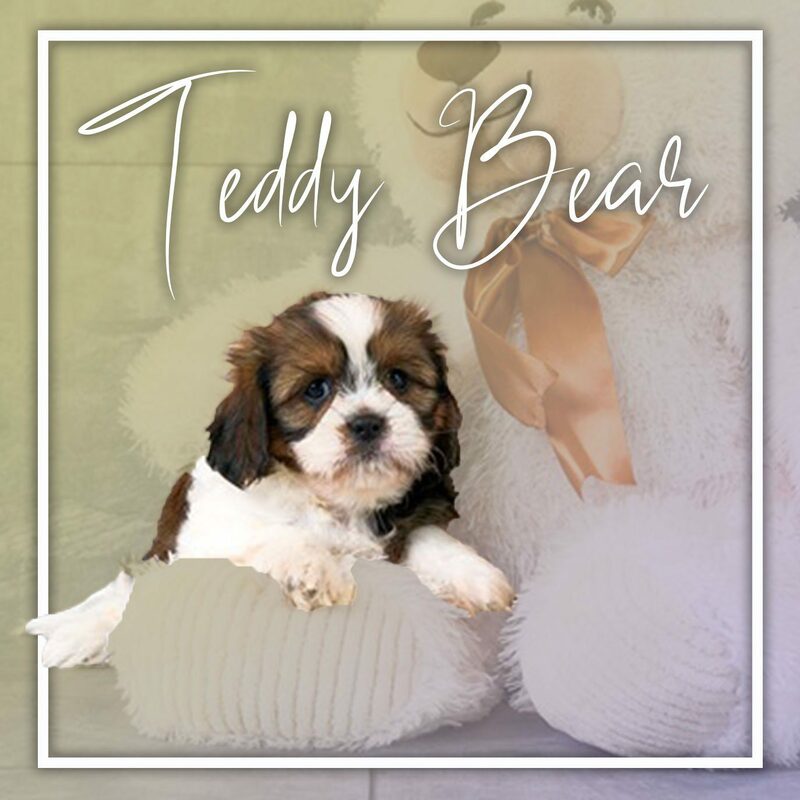 Teddy Bear, also called Zuchon/Shuchon, is a hybrid breed resulted from the cross between the Shih Tzu and the Bichon or the Maltese and the Bichon. It is admired for its cute appearance and independent disposition. It has a round face, with a squashed muzzle and large, endearing eyes, medium-length, floppy ears, and fluffy tail. It is tender, playful, agile and smart. Offering our clients, a memorable adoption experience is backed by our ten-year guarantee. If there is something that later comes up as a hereditary or congenital concern, you will have the peace of mind in knowing that we will stand behind the puppy. Welcoming a new family member into your home is an exciting journey and we want to provide confidence when you take one of our fur-babies home! We value the trusting relationship that we have with our breeder’s. We share the same dedication as our breeders to provide healthy, and socialized puppies. It is our privilege at the Charlotte Dog Club to be able to expand families by offering a selection of adorable, well-bred puppies to our clients. The Charlotte Dog Club is proud to partner with compassionate breeders who have a commitment to their dogs, and puppies to guarantee that animal welfare is the highest priority. When we visit our breeder’s homes it warms our hearts to see how intentional they are with exercise, socialization, and exceptional veterinarian care. Because of our breeder’s commitment we are able to offer our clients some of the healthiest dogs in the nation.